Security Tokens: Who is the real leader in the marketplace? Home » Security Tokens: Who is the real leader in the marketplace? We are all aware of how large the security token market is and how challenging it is to launch a compliant security token. Currently there are a few players attempting to play in this market such as Securitize, Coinlist and Polymath. It is said that competition is healthy as it proves that you are solving an actual problem. MOBU is a decentralised platform for launching compliant security tokens. Kindly find a short overview of MOBU’s largest competition namely Polymath and Ethereum. NOTE: Since MOBU is an ERC20 token, Ethereum is added for the purpose of better understanding and is not regarded as direct competition. How is MOBU different and how does MOBU distinguish itself from Polymath? The market is therefore large enough for more than one player. For example, there are many restaurants in a town and all serve a purpose and make a living. Polymath actually has a good product and an experienced team and we in no way want to discredit them just pointing out the facts by addressing a daily question. Although the whitepaper and tokenomics of Polymath is somewhat vague they do have a protocol called the ST20 to simplify the launching process of security tokens. They charge a POLY fee for KYC/AML, smart contract development and legal services as source of sustainability but this is not enough reason for an increase in price. They perform these services in-house and can therefore charge any fee they wish. MOBU on the other hand is an ecosystem (marketplace) that implements a unique protocol called the MOB20 standard with extra features. The marketplace allows for approved suppliers (Know your supplier -KYS) and competitive pricing which inevitably leads to better quality. MOBU charges a 1% fee of the ICO`s on the MOBU platform for support to them and this ensures better usage of the MOBU token as well as earning a percentage of the marketplace. Thus MOBU has a sustainable model. MOBU does not offer the KYC/AML, escrow, legal services in-house but allows the market to ensure lower pricing and better quality. Forming bank partnerships to enable fiat to crypto conversions across the world. Providing unique escrow services – MOBU introduces a new innovative and unique method of escrow services to ICO`s. Investors are able to exit the ICO after the crowdsale on a pro-rata basis if the ICO issuers do not adhere to their roadmap or goals. This ensures a higher overall ROI for investors. Practically ICO issuers will receive their funds raised on a 1-5% monthly basis instead of all at once. Investors thus has time to ensure whether the ICO adheres to its roadmap and is in fact a sound and real project. Introducing a “lockup” utility to MOBU tokens for service providers to ensure that they are compliant providers on the platform. Each service provider will deposit a certain number of MOBU tokens that will not be accessible for as long as that company remains a service provider on the MOBU platform. This creates scarcity of supply in the market and increases the demand and intrinsic value of the MOBU token. This is something simplistic but has a huge positive impact on the token price of MOBU. Creating investor account portals to ensure a more user-friendly environment and easier access to tokens. MOBU will also implement a unique feature here which allows protection of funds in case of death or loss of wallet API or passwords. If the funds remain dormant for a period of 6 months there will be a beneficiary wallet where the funds will be transferred to automatically. 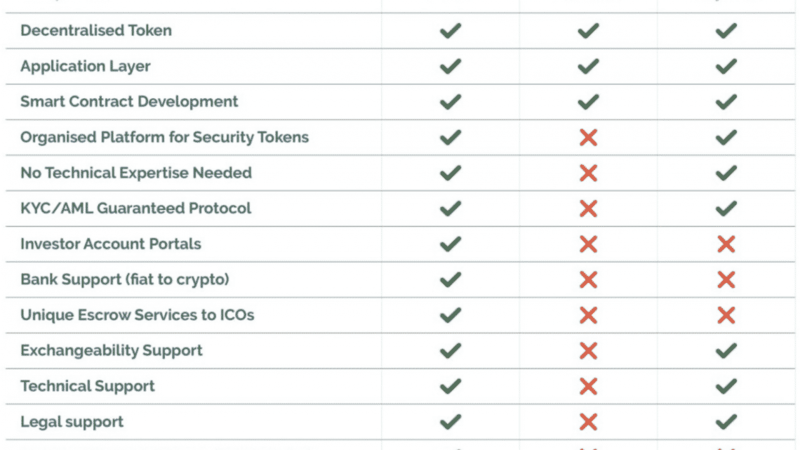 Security tokens are the most lucrative of all three types of tokens. For example, a 80 Trillion USD market is waiting to be entered into. Security tokens have so much more to offer than conventional shares. Mike Prinsloo, former CEO of DRD Gold, Ashanti Gold and Goldfields and the individual who has moved the most gold in the world under his watch. He wishes to tokenize a mining operation on the MOBU platform and he is also the first investor of the MOBU ICO. Wayne van der Burgh, founder of the Van der Burgh Group, with an asset value of over 1 Billion USD, wishes to tokenize at least 5 coal mining sites on the MOBU platform. Tumelo Ramaphoza, the son of one of a South African billionaire wishes to launch a Wildlife ICO on the MOBU platform. As part of its development roadmap, MOBU intends to launch a decentralised crowdfarming ICO, forex PAMM account ICO and regulatory friendly exchange on the MOBU platform to ensure a working ecosystem and intended usage of MOBU from day 1. Kindly refer to our roadmap on our website and in our whitepaper. It is furthermore important to know that MOBU plans to change jurisdiction to Malta, Gibraltar or Astana(Kazakhstan) for a more legal crypto friendly environment.